ThirstyAffiliates Review [Tested]: Should You Purchase It? Home » Plugins » ThirstyAffiliates Review [Tested]: Should You Purchase It? Looking for a way to organize and manage your affiliate links while optimizing your income? The ThirstyAffiliates plugin for WordPress can help you manage and cloak your links so you can earn more. Find out how in our ThirstyAffiliates review below. Whether you’re running a blog as a hobby or as a professional endeavor, you’ve probably thought about ways to monetize your blog. When it comes to earning money from your blog, there’re a lot of options out there: promoting your own services such as writing or coaching, selling physical or digital products, displaying advertising, and more. One of the most effective and popular ways to earn money from a WordPress site is with https://www.isitwp.com/best-wordpress-plugins-for-affiliate-marketers/affiliate marketing. Affiliate marketing has the advantage of being quick to set up, with no upfront investment required (unlike selling your own products). And, unlike advertising, affiliate marketing can be very lucrative, even if you don’t have a huge audience. Why Do You Need an Affiliate Link Plugin? Once you get into affiliate marketing, you might realize it’s not quite as easy as you thought. There’re quite a few logistical details to keep track of, including keeping track of all your affiliate IDs and links, and making sure every link on your site is working correctly. Using a dedicated affiliate link plugin like ThirstyAffiliates allows you to keep all your affiliate links in one central location: your WordPress dashboard, right where you need them. For example, if the company you promote alters their affiliate link, you don’t have to dig deep into every blog post you’ve published to find and replace the affiliate links you’d added. Instead, you can replace the link in your ThirstyAffiliates panel and all your links will be automatically updated. ThirstyAffiliates also enables link redirection (aka “link cloaking”) for your affiliate links. That means instead of seeing an ambiguous URL like http://tracking.example.com/a/5653/3535/6582, your visitors will see a nicer-looking URL like http://yourblog.com/go/example. Using bare links instead of redirection can be confusing or off-putting to your visitors, making them hesitant to click those links — this feature prevents that form of hesitation. Using a consistent redirection system for all your links, like ThirstyAffiliates allows you to do, gives visitors more confidence in your site and recommendations. It helps them understand exactly what they’re clicking on, and more easily tell which links are affiliate links. ThirstyAffiliates is a link cloaking plugin developed and managed by Rymera Web Co., a team based in Brisbane, Australia. ThirstyAffiliates was built with WordPress bloggers in mind. 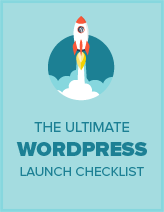 However, it’s the perfect choice for any affiliate marketers using WordPress to manage their affiliate links. With ThirstyAffiliates, you can completely customize your links either on a global or per-link basis. After installing and activating the plugin, you can navigate to Affiliate Links » Settings to get started. There, you can select the link prefix that’s used to create your redirection URLs. To add your first affiliate link, navigate to Affiliate Links » Add New. Here you can name your link, paste in your affiliate URL, and even attach an image to the link (such as a call-to-action button, product image, or logo). Links can also be categorized like posts or pages, and you can change the redirect type for individual links. 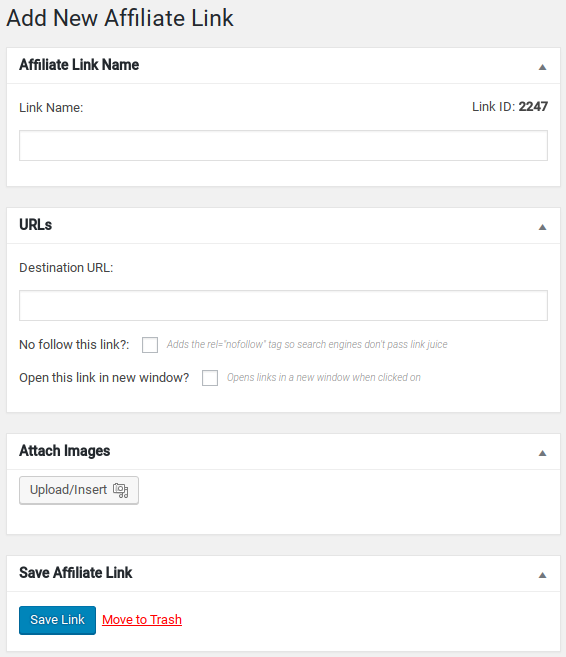 You can see a more-detailed walkthrough of the process here: How to Add Affiliate Links in WordPress with ThirstyAffiliates. Unlike other affiliate link plugins, ThirstyAffiliates doesn’t have bloat or unnecessary features, and it won’t slow down your site. It has just the options you need in order to manage your affiliate redirect links. ThirstyAffiliates also supports backups and full importing and exporting. That means, if you decide to create another affiliate site, you can just export your links to the new site instead of typing them in all over again. ThirstyAffiliates also has several premium plugins available that provide advanced options or automate certain functions to save you even more time. Each add-on plugin is available to purchase separately, or you can opt to purchase a bundle with several plugins together for a 1-time fee. The prices for the individual plugins can be pretty steep, but if you bundle them together you can save money. Autolinker: Choose keywords to automatically add affiliate links to throughout your blog. Stats: Keep track of all the clicks on your affiliate links. AZON: Search for and import existing Amazon affiliate links on your blog into ThirstyAffiliates. Geolocations: Detect visitor locations and target them with country-specific affiliate links. Google Click Tracking: Automatically detect affiliate links and add Google Analytics Event tracking. CSV Importer: Import and export your affiliate links to and from other sites you own. ThirstyAffiliates has a knowledgebase on their site with a few tutorials and addresses the most common issues users have, along with troubleshooting guides for the plugin and add-ons. The plugin is highly rated on the WordPress.org directory, and the developers are highly active in resolving support threads even for the free version of the plugin. Support is also available for premium add-on plugin users on the official website, and they promise to respond to all inquiries within 24-48 hours. All licenses include 12 months of email support and 12 months of plugin updates. If you’re not satisfied with ThirstyAffiliates, you can claim a refund within 14 days of purchase. We believe ThirstyAffiliates is a very useful plugin for any WordPress site that uses affiliate marketing links. It’s an easy way to manage your affiliate links in one place, and use pretty redirection links instead of ugly default links that’ll scare away your readers. It’s also a lightweight plugin that won’t slow down your site, and gives you precisely the options you need without excess bloat.